What to Feed Your Goldfish Besides Fish Flakes? Like humans, goldfish benefit with a variety in their diet, and thrive on a diet that mimic closely to what they eat in the wild. By feeding them with the right food, their colours can become brighter, they can be more active, and stay healthy for longer. While vegetables are not as common in the natural habitat, fishes enjoy bits of cooked peas, zucchini, beet tops, Swiss chard, and lettuce. Your goldfish will appreciate having veggies in their menu, and it will help them keep energized and healthy. Clip zucchini or lettuce to the side of your tank to make it easy for your pet goldfish to grab a bite. When in the wild, goldfish munch on live plans. If you have some in your pond or aquarium, don’t be surprised if they need to be replaced every so often. 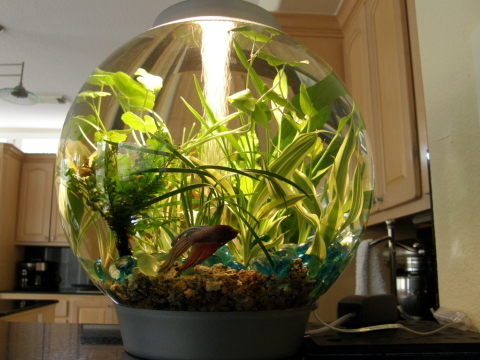 It would be better to place more greenery in the tank so your fish can spread the nibbling around and give the plants time to recover. In their natural habitat, wild goldfish eat any kind of bugs, as long as they are small enough to swallow them. Daphnia, also called water fleas, are their favourite, as well as bloodworms, tubifex worms, and mosquito larvae. Brine shrimp is a favourite choice by fishes, and can be easily raised as well as readily available as frozen treats. Goldfish also eat diet pellets as an alternative to fish flakes. 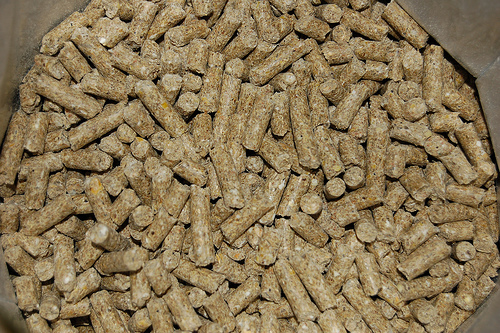 Pellets come in different types, so read the label carefully before buying. The most common type of fish pellet has all the key vitamins and ingredients for a healthy diet in a compact pellet form. There are also pellets comprised of single ingredient, such as daphnia or brine shrimp. If you want to feed your goldfish with pellets, have the single-ingredient pellets as special treats and use the nutritional pellets for everyday fish diet. A variation in food is as important for fishes as for humans. Good food variety allows your pet goldfish to get the right nutrients and experience some indulgences every once in a while.